His mother died when he was just sixteen. His father was generally irresponsible. Memories of his family being kicked out of their apartment for unpaid rent were seared into his mind. In spite of these and other obstacles, he climbed the corporate ladder in the Deep South during a period when African Americans just didn’t do that. For the past nineteen years he’s pastored the same Church of God congregation, for which he drives 110 miles each way. His name is James Brown, and his unique story will do far more than just make you feel good. “You talk about making an impression—wow! If that’s what the Church of God is all about, then I want to be a part of that church!” Through thick and thin, the Church of God was there for James—even when no one else was. As the second oldest of ten children in the family, James was introduced to the church of God at age twelve. Hard times fell on the Brown family, and on one fateful day, they returned home to find the unsettling result. While James vividly remembers the gut-wrenching scene of stacked furniture on the outside of their home, he also recalls the impact on his soul that followed. After James’s thirty-four-year-old mother passed away when he was just sixteen, James was thrust into the real world. His father moved back to live with his mother, and James had to juggle high school, jobs, and bunking with friends. By the grace of God and the loving support of the Church of God, he crossed these hurdles and became the godly leader he is today. But first he had to find sustainable income. 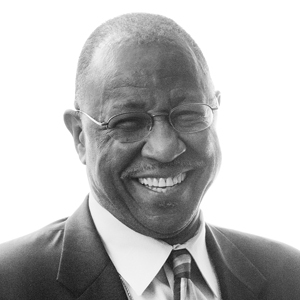 “I started as a janitor with the Federal Reserve Bank in 1967,” James recalls. “It was a second job. And that was a common practice, for African American males to work a full-time second job so we could have enough income. I was really fortunate to have taken an employee exam to work at the bank. I recall thinking that there must be fairly intelligent janitors working here since they have to take an exam to work here! But as a result, the Federal Reserve Bank offered me a job in what we now refer to as IT. Obviously I was very receptive to that, moving from the janitorial staff to a data processer!” This was the start of a very successful career for James Brown. Within three years, he was promoted to supervisor of the entire department. Within a few more years, he moved up once again, before ultimately settling in as a bank officer with ever-increasing responsibility. During this time, the bank even paid for his higher education. As the first African American to hold such a position in the southeast region of the Federal Reserve System, James faced some obvious challenges. It was not too many years earlier that civil rights legislation had passed, and though James says he was blessed to avoid a lot of overt racism, the color of his skin certainly didn’t make life easier. Success and power doesn’t always come without a cost, however. The sheer demand on James’ time and energy led to some poor decisions and a falling away from the church. Yet during that time, the Church of God never stopped praying for James and never stopped inviting James to return to the flock. And that made a world of a difference in this young man’s life. back with some business expertise and communication skills.” After several years, James’s involvement with the church grew and grew until he was working alongside the senior pastor. “I just felt the tug to work in that particular area too and was called to move into pastoral leadership.” In 1996, he began pastoring Cove Road Church of God in LaFayette, Georgia. His divine calling to that one congregation keeps him coming back in spite of a 220-mile roundtrip commute. And, until he joined Servant Solutions in 2004, he continued to work at the bank. 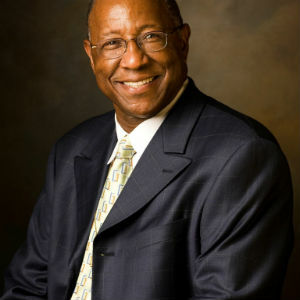 Since the Lord called James Brown into ministry, he has also served as chairperson and regional pastor for the Church of God in Georgia. He presided over the region when the two racially-separated organizations merged. Today he serves as the chief financial officer for the National Association of the Church of God. Through Servant Solutions (formerly the Board of Pensions of the Church of God) James helps pastors and churches manage finances and prepare for retirement, God’s way. How are you being the face of Christ to those around you? Are you a good ambassador for the Church of God? Just like James Brown, your influence with someone might make all the difference today for a bountiful harvest tomorrow. Learn more about how your Church of God retirement and financial planning partner, Servant Solutions, can serve your church and pastor at www.servantsolutions.org. This entry was posted in All Church of God and tagged bank, Board of Pensions, Cove Road Church of God, Georgia, James Brown, Lafayette, Servant Solutions. Bookmark the permalink.